3 Steps For INSTANT Action! (Not what you're after? See custom screens). 2. Measure and take some photos of your existing screen or shower area. *We specialise in an on-demand service to fit cost effective shower screens usually within 24 hours (no guarantee). Our shower screens materials are the hardiest and most reliable you’ll find anywhere. We value safety, which is why our screens are strong, durable and built to Australian standards. Our instant shower screens aren't patterned or textured, so whilst they look great, they're easy to keep clean too! Our prices are fixed, fair, honest and upfront. Just fill in the order form or call us for a quick quote now. It really is instant! Are you looking for someone reputable to help you rejuvenate your bathroom, but don’t want to wait weeks to have the work done? You’re most definitely in the right place! Instant Shower Screens is the latest way of getting the shower you want installed in just hours, and at an affordable price. You can save money on mobile bathroom hire costs and get your bathroom fully functioning much sooner than what is considered normal. No more waiting around for suppliers and tradespeople – we can supply and install your affordable shower screens on the same day. We take an immense amount of pride in our workmanship, and our vast and ever-growing collection of past customers’ testimonials is a reflection on the quality of work that we complete. Our great reputation in the industry has been built not just with outstanding results, but also exceptional customer service. We know that everyone is different, and work closely with our customers to tailor a solution that is a perfect fit with their décor and personal tastes, each and every time. Whether you’re interested in glass shower screens without frames or something else, we’re here to help. When you come to us, you can be absolutely certain that you’re in the most capable of hands. Our shower screens materials are the hardiest and most reliable you’ll find anywhere. We value safety, which is why our screens are strong, durable and built to Australian standards. They’re also simple to clean, which means your shower area is easy to clean and maintain. Because they are not patterned or textured, they look great with any bathroom décor. It really is instant, yet wonderfully affordable! Eliminate the stress and minimise the time without your shower – it’s never been easier to improve your bathroom with one of our top quality and affordable shower screens. Our products are installed by experienced, professional and dedicated experts who provide efficient, friendly and great value service. No matter what kind of shower screen you’re looking for – framed, semi-framed or frameless glass construction – we can provide a similar or better product. You’ll love the finished look of your new area – and you’ll really love the affordable price! 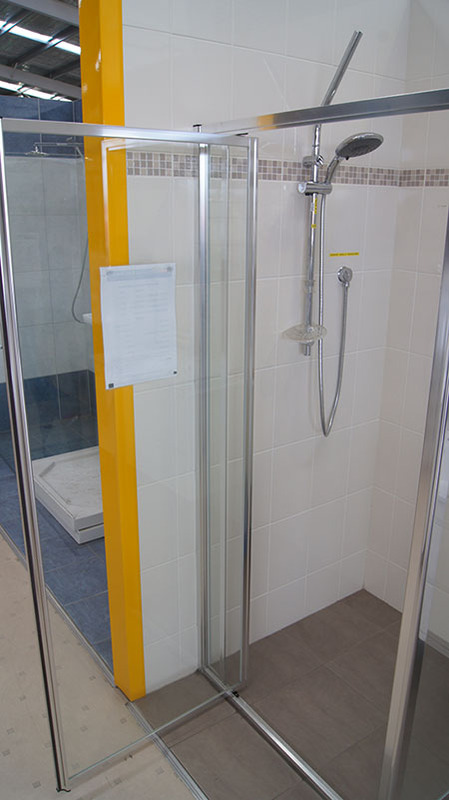 If you have any questions you’d like to discuss with us about our affordable shower screens in Adelaide, please be sure to call us on 1800 INSTANT (1800 467 8268) to chat with one of our friendly and knowledgeable staff members. If you’d prefer, you’re also more than welcome to use our handy online contact form to send us an enquiry, which we’ll make sure to respond to as soon as possible.